Chicago History Happened Here: 4646 N. Hermitage Ave.
City of the Big Shoulders . . . There was a time when every child in Chicago learned those words. 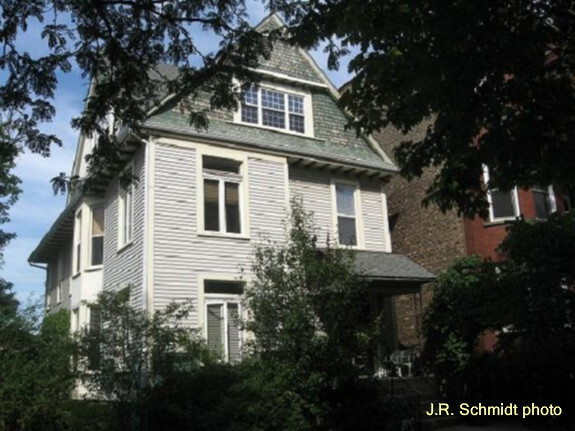 They are the opening lines of Carl Sandburg’s poem “Chicago.” The house where he wrote them still stands at 4646 North Hermitage Avenue. Sandburg was born in Galesburg, Ill. in 1878, the son of Swedish immigrants. As a young man, he drifted through a series of jobs–milkman, bricklayer, fireman, soldier, hobo, political organizer for the Social Democratic Party. Then he got married. Time for stability. Sandburg moved to Chicago and became a reporter. He landed a job with the Daily News. He’d been writing poetry for years, with little success. That began to change. His collection Chicago Poems appeared in 1916. Another anthology followed, then a series of children’s books. Sandburg was gaining a reputation. His publisher suggested he write a Lincoln biography for young people. Sandburg did the research, and more research. In 1926 he emerged with Abraham Lincoln: The Prairie Years. The children’s book had morphed into an adult book in two volumes. The Lincoln book was a best-seller and ended Sandburg’s financial worries. It also made him a literary lion. 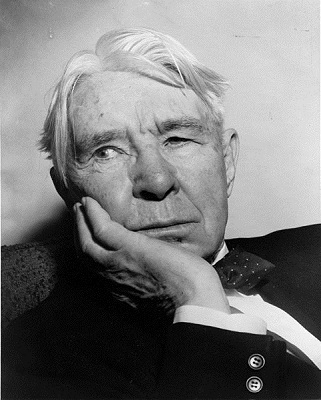 For the rest of his long life, he was as famous for being Carl Sandburg as for anything he wrote. The house on Hermitage was built in 1880 by attorney Samuel B. Gookins. Sandburg rented the second floor apartment from 1911 through 1914. He later lived in Maywood and in Elmhurst. The Carl Sandburg Home is an official Chicago Landmark. It is privately owned. Though he lived elsewhere after 1930, Sandburg remained one of Chicago’s favorite sons. In 1960 the city embarked on an urban renewal project in the Clark-Division area. The idea was to stabilize the west end of the Gold Coast with a series of high-rise apartments. They called the new buildings Sandburg Village. Sandburg himself kept Chicago in his heart. He often returned to the city that made him famous. He appeared regularly on Irv Kupcinet’s TV round-table. When Orland Park named a high school in his honor, Sandburg came to the dedication and had a grand time, telling stories and singing ballads. He had been a workingman. He always cultivated the image of the people’s poet, with rumpled clothing and unkempt hair. A few years after the dedication, he decided to revisit “his” high school. By then a different principal was in charge. The new man thought Sandburg was a panhandler and threw him out.